Rather than heading to a restaurant in the CBD, consider a relaxing barbeque or outdoor meal. Located in the grounds of Woodmans Hill, you can eat under the stars or endless blue sky for as long as you like, before simply walking back to your accommodation. Diners can enjoy the picturesque wooded surrounds, whilst children will love running free in the wide-open space. 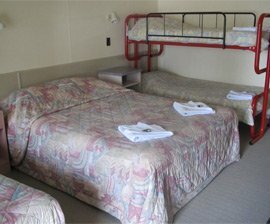 Take advantage of the barbeque, microwave, miniature fridge and washing up area, as well as ample seating and play equipment next time you visit Woodmanshill Motel.